After suffering from Lyme for more than a decade, I have come to grips with a few things. Jack Bristow, Fiction and non-fiction writer. 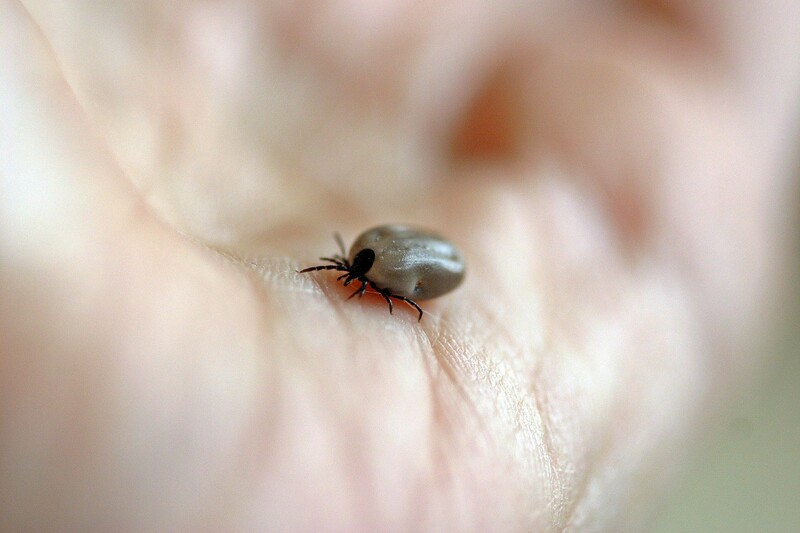 For some people, Lyme disease is an easy “cure,” if you can immediately identify the bulls-eye rash so the doctor can prescribe you a good course of Doxycycline. For many others, such as myself, Lyme is anything but easy to cure, once it has become chronic, and the disease and co-infections have permeated your nervous system. More than half of us don’t even remember having a bulls-eye rash, reports many statistics! For more than ten years now, I have had to contend with a strange mixture of symptoms: Stiff, popping joints, back pain, tailbone pain, spinal pain, trigeminal neuralgia, crippling OCD, unpredictable anxiety, hair loss…to name just a few things. I had no idea what was happening to me. A part of me was concerned — I sensed I had something like, maybe Parkinson’s or ALS. Another part of me was, oddly enough, almost unconcerned, although the disease was sucking the life out of me like a vampire, wreaking havoc on my personal life, my friendships, my relationships. After having received an official diagnosis last year, things finally began to make sense. To this day, I am still in treatment for Lyme, taking a wide variety of immune boosting and antibacterial herbal supplements to keep the nasty spirochetal infection at bay . But at least I am seeing some major progress. At least, now, I feel human, which has been a huge victory, in my book. Like my grandpa used to say, “A little good comes with bad.” When I was younger, I had no idea what he was talking about. Now I have a pretty good idea. After suffering from Lyme for more than a decade, I have come to grips with a few things. I have learned quite a few life lessons. Here, in this article, I have included a few of the life lessons I have learned. Never procrastinate. Realize your dreams, and go for them! Prior to Lyme, I had always been quite the procrastinator. I would put everything off: School-work, writing, friendships. I was perfectly content doing nothing, under the Grand Youthful Delusion that I had all the time in the world. Having Lyme has made me think differently. I’ve learned to never take my health for granted ever again, and to do everything I can to accomplish my goals. The old me rarely ever cracked a smile or showed a genuine interest in others. A huge plus from being bedridden all those years has been all the free time I have had to read books. For a writer, this is a fantastic opportunity. While many others were out, both enjoying life and falling victim to a few of its snares I was at home, reading. Reading in the bedroom. Reading in the bathtub. Reading in my own personal study. The book that made the biggest impression on me was, undoubtedly, Dale Carnegie’s “How to Win Friends and Influence People.” I credit this book for expanding my writing resume, and teaching me how to connect with editors. If something’s wrong with your health, dig deeper, even if medical professionals tell you you’re okay. This is an especially important life lesson. Nobody knows your body like you do: So if you think something’s off, investigate, further and further. If one specialist says you’re fine, off to the next specialist! How I wish I had gone this route, all those years ago, when these symptoms first reared their ugly head. Alas, I didn’t. I can’t change that now. But perhaps I can inspire someone else to do differently. Lyme is a profoundly tricky disease, insidiousness is its very nature. If you think something’s wrong with your body, investigate until finally you have reached the root. It’s not the easiest thing in the world but it’s far worth the struggle, believe me. Prior to having Lyme, my eating habits were, for lack of a better word, not very good. True, I took my vitamins, I used juiced once in a while. But really, I was more quasi-health-nut over full-blown health-nut. I still ate a lot of ice cream. I drank a lot of beer. Candy — oh, how I loved candy! These things, I’ve come to learn, can weaken our immune system greatly. And your immune system is your best friend. You don’t want to weaken your immune system. It’s like encouraging your super-buff bodyguard to no longer workout while he’s protecting you. It’s driving without a seat-belt. It’s rock-climbing without protective gear. Your immune system is your buddy. So treat him/her accordingly! Perhaps the most important life-lesson on my list. Struggling with Lyme, I feel like I have been through it all. I do not feel like a 31-year-old man. I feel much, much older. In a good way I feel older and more mature from all the books I have read, and all the articles I have published and written. In a bad way I feel much older on account of all the negative things associated with Lyme: Tinnitus, hair loss, ringing in the ears, electrical sensations in my body…. But the good news is, I’ve learned that these things don’t necessarily have to be permanent, that there is always the possibility of improvement, with the right diet, herbal supplements, and mental outlook. Sure, we’re going to have our setbacks. Life isn’t always perfect. But life is good. And it’s definitely worth the struggle and fighting the good fight. Jack Bristow has contributed to The Huffington Post, The Saturday Evening Post, The Santa Fe New Mexican. He is currently working on his first book, which details his 12-year-long struggled with Lyme disease.